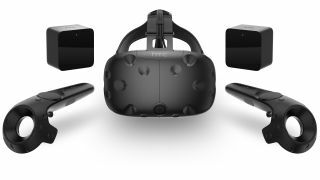 This week HTC Vive has slashed prices from £759 to £659 and are offering free shipping on all Black Friday and Cyber Monday purchases. If you’ve been deliberating due to the cost, get right on it, as this deal is only available until Monday. Vive are the pedigree of all virtual reality headsets, the attention to detail can be seen in the quality of their products. The headset’s stunning display, precise tracking and 110 degree field of view ensures a fantastic gaming experience. With over 600 games available, you’ll be saying goodbye to this world. Especially with the front-facing camera which allows you to find a drink or take a seat without needing to remove the mask. We have the best deals for Black Friday below, be sure to keep checking the page as we will be updating our deals as and when new ones come in. You can use this locator to find retailers close to you that are selling the headset. Vive are also offering sales and bundles on several of its games, apps, and other content via the Viveport store, be sure to check it out. One of those deals includes a $10 rebate on purchases equalling $30 or more.